To be perfectly honest i’m not entirely sure where this year has gone. Not only are the Halloween chocolates bombarding you each time you step into a shop, now the supermarkets are stocking up on their Christmas chocolate too. Unfortunately even a little bit of marketing and advertising will entice me in so i better keep up the gym membership! 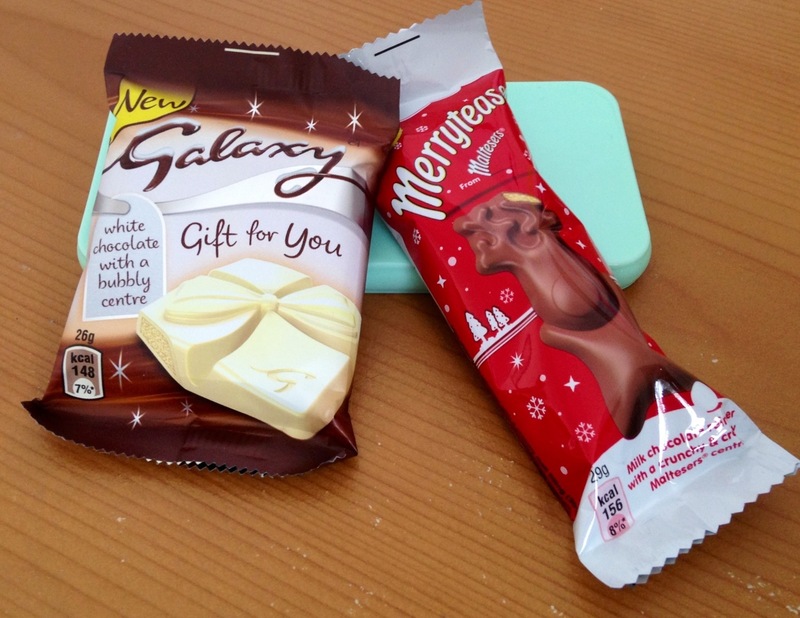 Each year there is something new and this year is no exception with Galaxy bringing out their ‘Galaxy Gift for You‘ chocolate; this year in white chocolate too. Malteaser have followed suit and bought out their ‘Malteaster‘ bunny re-branded as ‘Merryteaser‘ – basically exactly the same thing but in a reindeer shape not a bunny. Those crafty chocolatiers! Needless to say i bought both… in October. Oops! Are you a sucker for seasonal chocolate or have you started your Christmas wish list? Leave a comment or Tweet us @thesarahsblog to let us know.